Volume 3 of the critically acclaimed zombie anthology that rides the wave of new school zombie horror, ala 28 DAYS LATER, SHAWN OF THE DEAD and DAWN OF THE DEAD remake. We've got plenty more mad creations spilling out of our zombie kitchen! 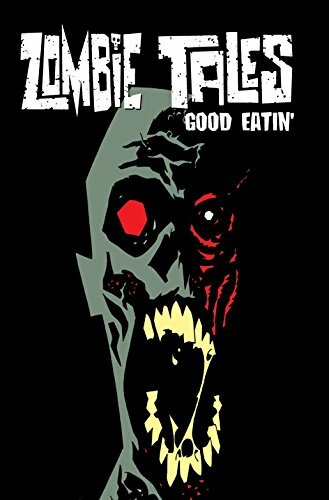 Delivering smart, accessible, high-quality short stories, this anthology has met with great acclaim amongst both comic and zombie fans. Featuring more great zombie stories from more great writers and artists that you know and love. Don't worry about leaving room for dessert-you're it! Monte Cook has been a professional writer and game designer for almost thirty years. He now runs the prolific and popular Monte Cook Games. He’s the co-creator of the Numenera RPG and has worked on hundreds of other games. He has published two novels, The Glass Prison and Of Aged Angels, numerous short stories, a comic series and The Skeptic’s Guide To Conspiracies. He lives in Seattle, Washington. Visit his website MonteCookGames.com or his Twitter @MonteJCook.